AUGUSTA, MI. – When you put Augusta and golf together you think of April, azaleas and the Masters tournament, right? Well, that’d be understandable. Not all the great Augusta golf is played in Georgia, though. Check out Augusta, Michigan. Golf is pretty good there, too. 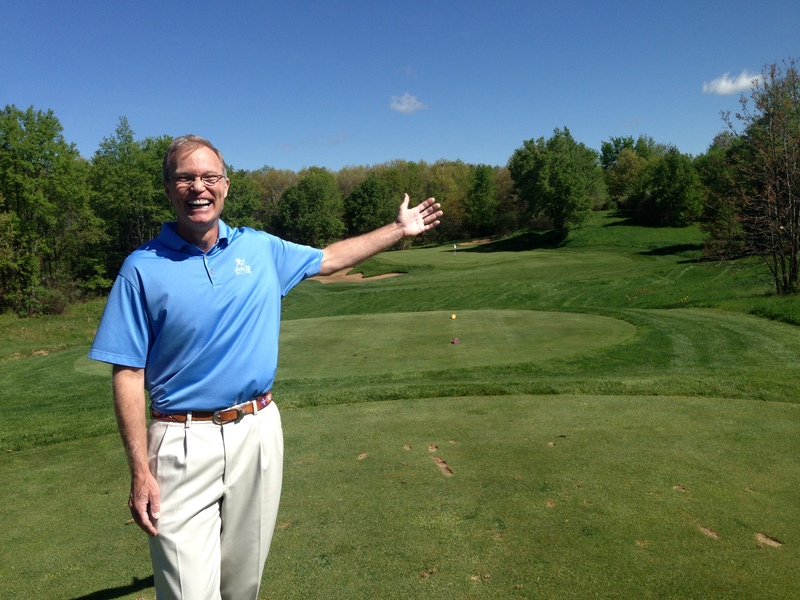 Vice president Tim Moskalic shows his eye-catching course at Yarrow Golf & Conference Resort. This little town (population of only about 1,000) in southwest Michigan is the home of one of the premier families in the American golf industry as well as a unique resort/convention center complex that features one of that’s state’s premier courses. Put them together and you have the story of six courses just a few miles apart that create an ideal destination for group outings. We’ll start with Yarrow Golf & Conference Resort. 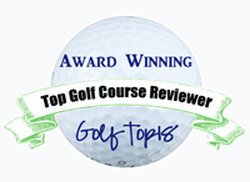 Its golf is good – an 18-holer designed by busy Michigan architect Ray Hearn in 2002. 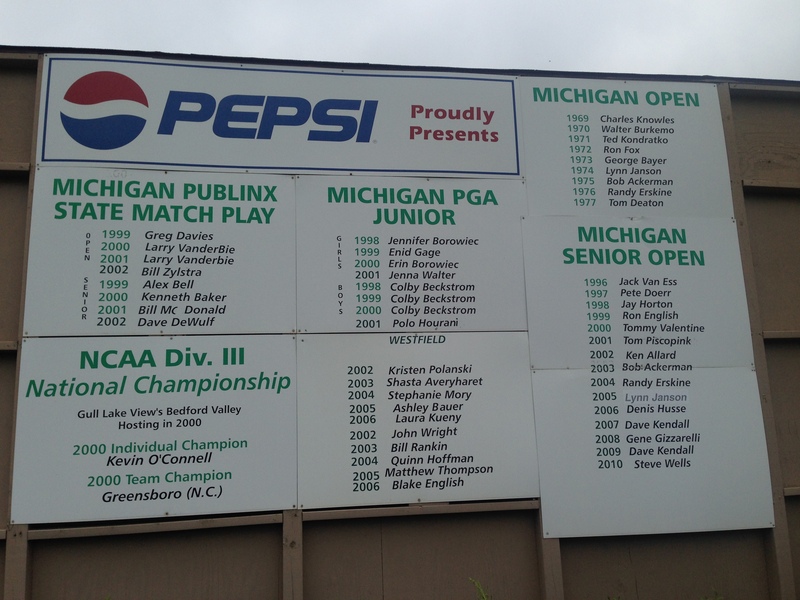 Hearn has either designed or worked on 25 courses in his home state (he lives in Holland, MI.) and has done quality work elsewhere. His renovations at two Chicago clubs – private Flossmoor Country Club and upscale public Mistwood – have drawn more attention lately but Yarrow is definitely one of Hearn’s best. He gets your attention immediately with a highly-challenging 588-yard opening hole that has a bit of everything, most notably elevation changes and an undulating putting surface. Hearn wanted that to be No. 10 in his original plans, but ownership considerations eventually changed that. Anyway, the rest of the course isn’t as intimidating and Hearn’s use of four other tee placements makes Yarrow suitable for players of all abilities. There’s lots of fun holes out there, but the layout is made for major competitions if played from the tips – 7,005 yards with a par of 72, rating of 72.4 and slope of 133. Yarrow, though, is about more than golf. It has fine dining, 12 meeting rooms and 45 guest rooms spread over three separate buildings that make it a hub for company retreats and weddings. The staff is a friendly bunch, headed by resort vice president Tim Moskalic and general manager Toby Hilton. In the same town of Augusta (or very close to it) is Gull Lake View Golf Club & Resort. For four decades the Scott family has owned and operated this multi-course conglomerate. There’s some prominent families in the American golf industry, starting with the Jemsek clan in Chicago, and the Scotts are right up there. Gull Lake View isn’t one place. Actually, it’s Gull Lake View Inc. and it embraces five courses owned by the Scotts. 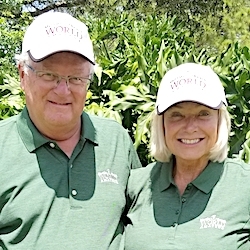 This family pioneered the golf destination business in Michigan, and that’s saying a lot since the state has over 800 public courses despite its relatively short playing season. 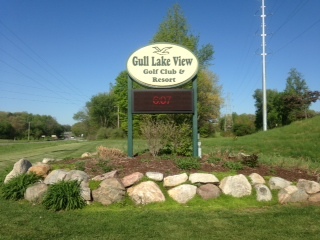 Golfers from outside southwest Michigan started playing Gull Lake View courses in 1963. That’s the year that Darl and Letha Scott opened the first nine holes of their first course. Darl had been a course superintendent for 21 years at Gull Lake Country Club before deciding to build a course of his own. The proximity of Gull Lake View’s five courses — located between the bigger cities of Kalamazoo and Battle Creek — is a big plus. The conditioning on all of them is well above average. So is the variety of the layouts, and cost-wise it’s a friendly place as well. That formula has brought back many golfers for return visits over the years. If you want to play a lot of golf on a lot of different courses in a short period of time Gull Lake View is the place for you. There are three bases of operation for the five courses. The Gull Lake View West and East courses are equipped with Fairway Villas and the Kendall Academy of instructors is also based there. The Stonehedge South and North layouts are three miles down the road, and Bedford Valley is off the beaten path a bit – it’s officially in Battle Creek — but still within a short drive of the others. Each has its own bit of history. Gull Lake View West was expanded to 18 holes in 1965. The adjoining East course, rated as high as the tenth best course in Michigan at one time, was completed in 1976 and the 64 Fairway Villa condos were opened a year later. All were designed and built by members of the Scott family. The par-70 East is on the short side (6,059 yards) but is loaded with water hazards, hilly terrain and undulating greens. West is longer (6,330 yards) with a slightly higher rating (69.8) and slope (126). Both the Stonehedge courses are still longer and more challenging. Stonehedge South, the third of the family’s courses, was designed by Charles Scott. This very scenic layout opened in 1988. No. 4 came via purchase that same year. The family acquired Bedford Valley, a one-time private club with a course designed by Boston architect William Mitchell in 1965. This charming layout, much different from Augusta’s other courses, is the favorite for many visitors who have tested them all. It’s the longest (7,070 yards) with the highest rating (73.5) and slope (131). 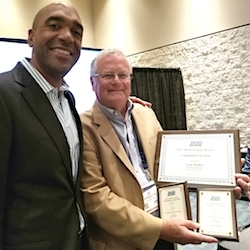 Bedford Valley is proud of its long history as a tournament site. Mitchell may not be the most well-known course designer but his resume includes two interesting tidbits. He’s credited with coining the term “executive course’’ (though Bedford Valley certainly isn’t one of those) and he also designed Rolling Hills Country Club in Florida. The renowned movie “Caddie Shack’’ would eventually be filmed there. 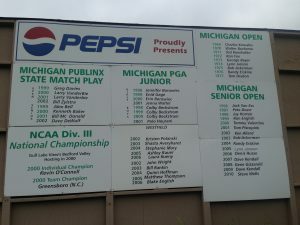 Bedford Valley has been the home of the Michigan Senior Open every year since 1996 and also has hosted the Michigan Open and the NCAA Division II national championship. Locals call this “The Big Course’’ because it has huge greens, large bunkers and fairways lined with large oak trees. An 8,400-square foot clubhouse was opened in 2008. Last of the Gull Lake View courses to open was Stonehedge North. Designed by Charles and Jon Scott, it opened in 1995 with a unique mixture of holes – six par-5s, six par-4s and six par-3s. Like the South, it has some dramatic elevation changes amidst a forest setting. Along with the courses there’s Cranes Pond, a 250-acre private gated golf community adjacent to the Gull View West course that includes a 54-acre lake, and The Woods at Stonehedge, a 40-acre community located on the Stonehedge South course.